A person may divide his time between two houses or form strong emotional ties with a second house, treating it as his home. Therefore, a secondary house, which is fully furnished and equipped and used, inter alia, as a holiday home, can qualify as a “home” within the meaning of Article 8. [T]o the Court, there is no doubt that the operating of the wind turbine is in the general interest as it is an environmentally friendly source of energy which contributes to the sustainable development of natural resources. It observes that the wind turbine at issue in the present case is capable of producing enough energy to heat between 40 and 50 private households over a one-year period, which is beneficial both for the environment and for society. 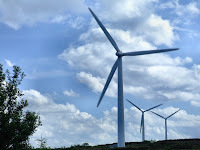 (…) wind power is a renewable source of energy which is beneficial for both the environment and society. The Convention itself contains no explicit environmental rights. In the last decade the Court has, however, started to adjudicate “green” cases. The 1994 judgment in López Ostra v. Spain, concerning industrial pollution, was the first case in this context in which the Court found a violation. In general, states have been granted a wide margin of appreciation in environmental cases, but violations – especially of Article 8 ECHR – have been found by the Court in various situations. Mostly, these concern instances in which the authorities failed to enforce existing national laws aimed at containing or limiting environmental or other nuisance. Well-known instances include Spanish nightclubs producing too much noise (Moreno Gómez) and air pollution by a Russian steel plant (Fadeyeva). The Court, in this way, helps to ensure that state parties take their own regulations on environmental protection seriously. Ironically, the environment only benefits from this protection if potential or real damage affects human beings. For an extensive analysis of the Court’s stance in environmental cases, I recommend a very recent paper posted on SSRN by Ole Pedersen of the University of Aberdeen, entitled ‘European Environmental Human Rights and Environmental Rights: A Long Time Coming?' An older overview is to be found in Margaret DeMerieux’ ‘Deriving Environmental Rights from the European Convention for the Protection of Human Rights and Fundamental Freedoms’, Oxford Journal of Legal Studies, Vol. 21, No. 3 (2001), pp. 521-561. The Council of Europe has published a booklet entitled Environmental Protection and the European Convention on Human Rights (2005) and a Manual on Human Rights and the Environment - Principles emerging from the case-law of the European Court of Human Rights (2006), both also available in electronic version, but unfortunately not for free. Enough materials to green legal minds! For the applicants this decision obviously wasn’t a sight for sore eyes, but rather a sigh for sore ears! I just added a few extra links in the sidebar. One about which I am particularly enthusiastic is the International Law Video Library, hosted by Jean Allain of Queen's University in Belfast. The online library is a growing collection of video interviews with key figures in international law. The sections on Human Rights include interviews with Thomas Buergenthal (now at the ICJ, formerly at the UN Human Rights Committee), Patrick Robinson (now ICTY, formerly at the Inter-American Commission of Human Rights), David Weissbrodt (formerly at the UN Sub-Commission on the Promotion and Protection of Human Rights), Navanethem Pillay (ICTR) and many others. Hopefully an interview on the European Convention and Court will soon be added. Great tool for teaching and presentations! You might also want to take a look at two related weblogs. One is the human rights blog, which provides a broad portal to all kinds of human rights-related news and links. It does not seem to have been updated for several weeks now though. The other is called Ph.D. Studies in Human Rights of professor William Schabas of the Irish Centre for Human Rights of the National University of Ireland at Galway. Apart from information on conducting Ph.D. research on human rights, it also contains very regular updates with an emphasis on international criminal law. The possibility to write and attach separate opinions to the Court’s judgments must undoubtedly be one of the more attractive aspects for the judges in Strasbourg – an aspect which may make their ECJ colleagues somewhat envious, for that matter! But possibly even bigger is their appeal to observers of the Court’s work. Often the opinions, whether concurring or dissenting, offer insights in core discussion points in a judgment. Also, they may give clues about developments in the Court’s position. A famous instance is the line of ‘British’ cases on transsexuals: Rees (1986, appl.no. 9532/81) – Cossey (1990, 10843/84) – Christine Goodwin (2002, 28957/95). 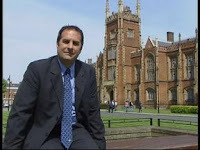 A full database of the Court's separate opinions has been compiled by the University of Leicester. For an interesting analysis of the correlations between a judge's background and separate opinions (including the finding that a small degree of national bias does exist), see the paper 'The Room at the Top: Separate Opinions in the Grand Chambers of the ECHR (1998-2006)' of Fred Bruinsma (Utrecht University). His material is limited to the Court's Grand Chamber judgments. Erik Voeten (Georgetown University), in his paper 'What Motivates International Judges? Evidence from the European Court of Human Rights', provides a broader analysis of why the European Court's judges vote as they vote. He argues that differences in judicial philosophies offer the strongest explanation for variations in voting patterns. In addition, he defends the intriguing view - supported by evidence - that judges from countries with low levels of judicial independence are more likely than other judges to vote against their own states. Much food for thought (or for dissent?). Welcome to this new blog on the European Convention on Human Rights (ECHR), one of the only ones (or maybe the only one?) specifically dedicated to the ECHR. 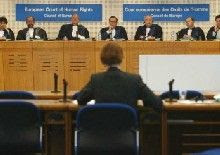 The blog is intended as a portal to information on the European Court of Human Rights and its judgments and decisions. Thus, it includes a RSS feed on the press releases of the Strasbourg Court (upper right side) and a number of links to relevant articles, blogs and other resources. I will try to include recent developments on the ECHR, including new cases and papers on European human rights. Considering the enormous amount of judgments which the Court issues each year, it is impossible to report on everything. Thus this blog will be more modest and will aim to cover at least the most important developments, as far as possible. Do not hesitate to inform me of gaps or shortcomings in that respect! Since this is in many ways a project under development (as some sort of "living instrument" as the Court would phrase it), all comments, suggestions and contributions are very welcome!